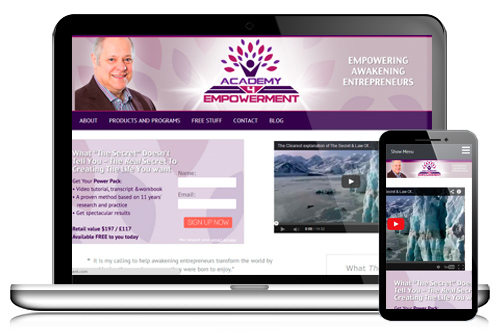 Academy4Empowerment was created by Keith Corbett. The site helps new entrepreneurs with their mindset and attitude. Keith wanted a site that could be used to sell online products and services.